I’m providing funding and administrative support to anyone who wants to hold a BLOCK PARTY this year! I think most people will agree that there are advantages to knowing your neighbours. What if you’re baking and run short on sugar? Where will you turn to borrow a cup if you don’t befriend a neighbour? Kidding aside, it’s beneficial for the safety of our homes and children that neighbors look out for one another. It’s helpful if neighbors can spot a stranger on the street. Children need to know where they can turn in an emergency and the difference between a friendly neighbor and a stranger. A concerned community helps to create a sense of well-being and safety for all. With the hectic lifestyle most of us lead, it’s much harder to get to know our neighbors than it used to be. There are many many new people moving into newly constructed neighbourhoods, residents are downsizing and new people are moving into established neighbourhoods. Between rushing to our jobs, racing to drop the kids at daycare, running off with them to soccer practice, catching up on weekend errands, and the winter hibernation period – it is sometimes difficult to meet the neighbhours on the street. That’s why I’m supporting anyone who wants to organize a block party in the Waverley West ward! 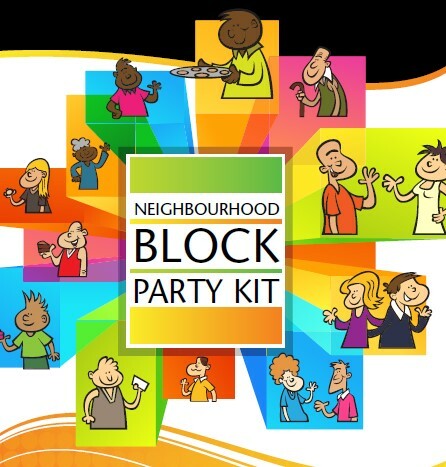 Block parties provide the opportunity for neighbors to socialize at least once a year, and even if you don’t become best friends, it becomes a little easier to identify a neighbor from another passerby. Thanks to Strathcona County, Edmonton, Coquitlam, and Calgary for preparing such great Block Party guides!